The Geneva Conventions comprise four treaties, and three additional protocols, that establish the standards of international law for the humanitarian treatment of war. 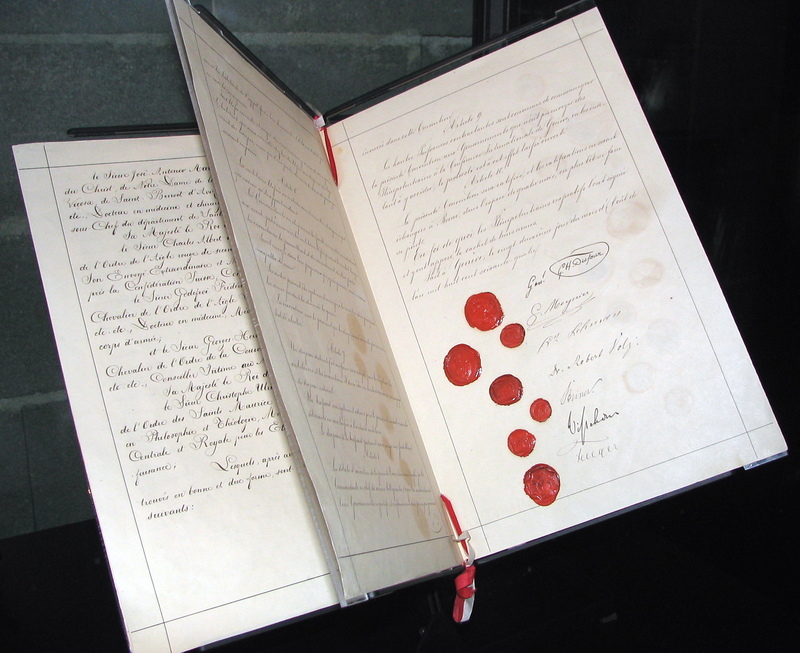 The singular term Geneva Convention denotes the agreements of 1949, negotiated in the aftermath of the Second World War (1939–45), which updated the terms of the first three treaties (1864, 1906, 1929), and added a fourth treaty. The articles of the Fourth Geneva Convention (1949) extensively defined the basic, wartime rights of prisoners (civil and military); established protections for the wounded; and established protections for the civilians in and around a war-zone. The treaties of 1949 were ratified, in whole or with reservations, by 195 countries. Moreover, the Geneva Convention also defines the rights and protections afforded to non-combatants, yet, because the Geneva Conventions are about people in war, the articles do not address warfare proper — the use of weapons of war — which is the subject of the Hague Conventions (First Hague Conference, 1899; Second Hague Conference 1907), and the bio–chemical warfare Geneva Protocol (Protocol for the Prohibition of the Use in War of Asphyxiating, Poisonous or other Gases, and of Bacteriological Methods of Warfare, 1929). The ten articles of this first treaty were initially adopted on August 22, 1864 by twelve nations. Clara Barton was instrumental in campaigning for the ratification of the 1864 Geneva Convention by the United States, which eventually ratified it in 1882. The second treaty was first adopted in the Geneva Convention for the Amelioration of the Condition of the Wounded and Sick in Armies at Sea, concluded on July 6, 1906 and specifically addressed members of the Armed Forces at sea. It was continued in the Geneva Convention relative to the Treatment of Prisoners of War, concluded on July 27, 1929 and entered into effect on June 19, 1931. Inspired by the wave of humanitarian and pacifistic enthusiasm following World War II and the outrage towards the war crimes disclosed by the Nuremberg Trials, a series of conferences were held in 1949 reaffirming, expanding and updating the prior three Geneva Conventions and adding a new elaborate Geneva Convention relative to the Protection of Civilian Persons in Time of War. 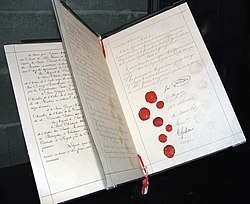 The Geneva Conventions are rules that apply in times of armed conflict and seek to protect people who are not or are no longer taking part in hostilities, these include the sick and wounded of armed forces on the field, wounded, sick, and shipwrecked members of armed forces at sea, prisoners of war, and civilians. The first convention dealt with the treatment of wounded and sick armed forces in the field. The second convention dealt with the sick, wounded, and shipwrecked members of armed forces at sea. The third convention dealt with the treatment of prisoners of war during times of conflict; the conflict in Vietnam greatly contributed to this revision of the Geneva Convention. The fourth convention dealt with the treatment of civilians and their protection during wartime. The Geneva Convention on relative to the Treatment of Prisoners of War was adopted in 1929. It was significantly revised and replaced by the Third Geneva Convention of 1949. With three Geneva Conventions revised and adopted, and the fourth added, in 1949 the whole set is referred to as the "Geneva Conventions of 1949" or simply the "Geneva Conventions". This article states that the certain minimum rules of war apply to armed conflicts that are not of an international character, but that are contained within the boundaries of a single country. The applicability of this article rests on the interpretation of the term armed conflict. For example it would apply to conflicts between the Government and rebel forces, or between two rebel forces, or to other conflicts that have all the characteristics of war but that are carried out within the confines of a single country. A handful of individuals attacking a police station would not be considered an armed conflict subject to this article, but only subject to the laws of the country in question. The final international tribunal for all issues related to the Geneva Conventions and other treaties is the United Nations Security Council. As a charter, the UN Charter is a constituent treaty, and all members are bound by its articles. The UN Charter's Article 25 and others require that obligations to the United Nations prevail over all other treaty obligations. The UNSC rarely invokes its authority regarding the Geneva Conventions and so most issues are resolved by regional treaties or by national law. willfully depriving someone of the right to a fair trial if accused of a war crime. The principle of universal jurisdiction also applies to the enforcement of grave breaches when the UN Security Council asserts its authority and jurisdiction from the UN Charter to apply universal jurisdiction. The UNSC did this via the International Criminal Court when they established the International Criminal Tribunal for Rwanda and the International Criminal Tribunal for the former Yugoslavia to investigate and/or prosecute alleged violations. Although warfare has changed dramatically since the Geneva Conventions of 1949, they are still considered the cornerstone of contemporary international humanitarian law. They protect combatants who find themselves hors de combat, and they protect civilians caught up in the zone of war. These treaties came into play for all recent international armed conflicts, including the War in Afghanistan (2001–present), the 2003 invasion of Iraq, the invasion of Chechnya (1994–present), and the 2008 War in Georgia. The Geneva Conventions also protect those affected by non-international armed conflicts such as the Syrian Civil War. Modern warfare continues to evolve, and the lines between combatants and civilians have blurred (e.g. the Sri Lankan Civil War, the Sudanese Civil War, and the Colombian Armed Conflict). Common Article 3 deals with these situations, supplemented by Protocol II (1977). These set out minimum legal standards that must be followed for internal conflicts. International tribunals, particularly the International Criminal Tribunal for the former Yugoslavia, have helped to clarify international law in this area. In the 1999 Prosecutor v. Dusko Tadic judgement, the International Criminal Tribunal for the Former Yugoslavia ruled that grave breaches apply not only to international conflicts, but also to internal armed conflict. Further, those provisions are considered customary international law, allowing war crimes prosecution by the United Nations and its International Court of Justice over groups that have signed and have not signed the Geneva Conventions. 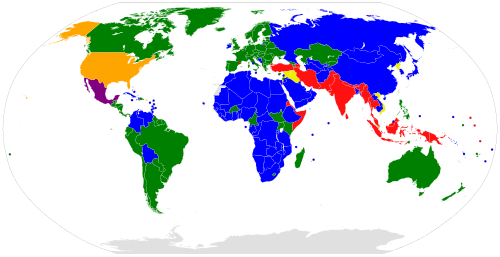 ↑ "State Parties / Signatories: Geneva Conventions of 12 August 1949". International Humanitarian Law. International Committee of the Red Cross. http://www.icrc.org/ihl.nsf/WebSign?ReadForm&id=375&ps=P. Retrieved 2007-01-22. ↑ Dunant, Henry. A Memory of Solferino. http://www.icrc.org/eng/resources/documents/publication/p0361.htm. English version, full text online. ↑ Abrams, Irwin (2001). The Nobel Peace Prize and the Laureates: An Illustrated Biographical History, 1901-2001. US: Science History Publications. http://books.google.com/books?id=ny77bPwKxaUC. Retrieved 2009-07-14. ↑ Roxburgh, Ronald (1920). International Law: A Treatise. London: Longmans, Green and co.. p. 707. http://books.google.com/books?id=G8NAAAAAIAAJ. Retrieved 2009-07-14. The original twelve original countries were Switzerland, Baden, Belgium, Denmark, France, Hesse, the Netherlands, Italy, Portugal, Prussia, Spain, and Wurtemburg. ↑ Burton, David (1995). Clara Barton: in the service of humanity. London: Greenwood Publishing Group. http://books.google.com/books?id=rJyTkPqIC-sC. Retrieved 2009-07-14. ↑ Sperry, C. (1906). "The Revision of the Geneva Convention, 1906.". pp. 33–57. JSTOR 3038537. ↑ Yingling, Raymund (1952). "The Geneva Conventions of 1949". pp. 393–427. JSTOR 2194498. ↑ "The Geneva Convention Relative to the Treatment of Prisoners of War". 1953. pp. 119-117. JSTOR 2213912. ↑ Bugnion, Francios (2000). "The Geneva Conventions of 12 August 1949: From the 1949 Diplomatic Conference to the Dawn of the New Millennium". pp. 41–51. JSTOR 2626195. ↑ "Convention for the Amelioration of the Condition of the Wounded and Sick in Armies in the Field. Geneva, 6 July 1906". International Committee of the Red Cross. http://www.icrc.org/applic/ihl/ihl.nsf/INTRO/180?OpenDocument. Retrieved July 20, 2013. ↑ David P. Forsythe (June 17, 2007). The International Committee of the Red Cross: A Neutral Humanitarian Actor. Routledge. p. 43. ISBN 0-4153-4151-5. ↑ 17.0 17.1 17.2 17.3 17.4 Pictet, Jean (1958). Geneva Conventions of 12 August 1949: Commentary. International Committee of the Red Cross. http://www.loc.gov/rr/frd/Military_Law/Geneva_conventions-1949.html. Retrieved 2009-07-15. ↑ "Article 3 of the Convention (III) relative to the Treatment of Prisoners of War. Geneva, 12 August 1949.". Inter national Committee of the Red Cross. http://www.icty.org/x/file/Legal%20Library/jud_supplement/supp6-e/tadic.htm. Retrieved 2011-01-11. ↑ "The Geneva Conventions Today". International Committee of the Red Cross. http://www.icrc.org/web/eng/siteeng0.nsf/html/geneva-conventions-statement-090709. Retrieved 2009-11-16. ↑ Abresch, William (2005). "A Human Rights Law of Internal Armed Conflict: The European Court of Human Rights in Chechnya". http://www.ejil.org/pdfs/16/4/316.pdf. ↑ "Sixty years of the Geneva Conventions and the decades ahead". International Committee of the Red Cross. http://www.icrc.org/web/eng/siteeng0.nsf/html/geneva-convention-statement-091109?opendocument. Retrieved 2009-11-16. ↑ "The Prosecutor v. Dusko Tadic - Case No. IT-94-1-A". International Criminal Tribunal for the Former Yugoslavia. http://www.icty.org/x/file/Legal%20Library/jud_supplement/supp6-e/tadic.htm. Retrieved 2009-11-16.